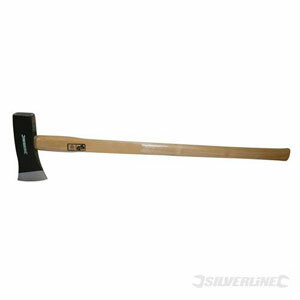 Drop-forged carbon steel head and 90mm wide cutting blade for splitting oversize or irregular shaped logs. Heat treated, ground and polished cutting edge. 900mm shock absorbing hardwood shaft.